A man and a woman suffered serious injuries in a single vehicle crash on Fletton Parkway this morning, Wednesday January 25. Police were called at 12.20am to the westbound carriageway between Orton Goldhay and the A1M junction. Magpas Doctor Mark Tehan and Paramedic Ollie Robinson arrived via a rapid response vehicle and worked with East Of England Ambulance Service paramedics to treat a man in his 50s and a woman in her 20s. The woman had sustained a leg injury and was sedated at the scene. 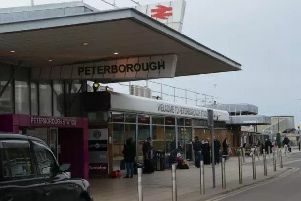 She was taken to Peterborough City Hospital and was in a stable condition. The man had sustained minor injuries and was also taken to Peterborough City Hospital. One lane of the road was closed until 2.16am when the car was recovered.